Maybin's Emergency Power Systems — Commercial-Industrial-Residential Standby & Backup Emergency Power Generators, Serving Western NC – Hendersonville – Asheville – Greenville – Spartanburg – SC – GA – TN – VA – U.S. Since 1992, Maybin’s Emergency Power Systems has been assisting commercial and industrial businesses and residential homeowners with emergency power solutions in the Western NC and Upstate SC market areas, including Asheville, Hendersonville, Greenville and Spartanburg. We sell power generation systems anywhere in the U.S. and install and service Cummins commercial and industrial power generators, as well as standby and backup power generators for light commercial and residential in NC, SC, GA, and TN. We also offer maintenance service, repairs and parts for power generators and power generation systems. POWER GENERATORS FOR BUSINESS, COMMERCIAL, AND INDUSTRIAL USES – For businesses, losing power for even a few hours can mean the loss of productivity and income. Having a Cummins commercial power generator in place will ensure your business is safe and can stay open for business to serve your customers. Cummins power generator sets are designed for rugged applications and conditions including fire and emergency trucks, utility and telecom fleets and other specialty vehicles. Our comprehensive line of commercial power generation products include diesel, gasoline, and propane powered power generators. LIGHT COMMERCIAL AND RESIDENTIAL STANDBY EMERGENCY POWER GENERATORS – Our emergency standby power generators sense when there’s a power outage in your home and turn on automatically to deliver power for everyday necessities like, cooking, laundry, or hot water for baths. Power outages can occur without warning, can last up to several days, and have devastating effects. 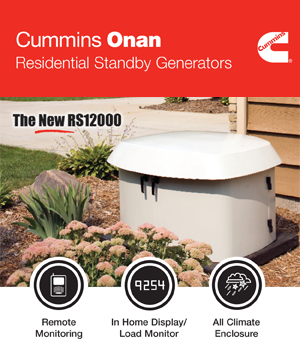 With available Remote Monitoring via the Internet, you can have two-way communication and control your Cummis Onan backup power generator from wherever you may be. 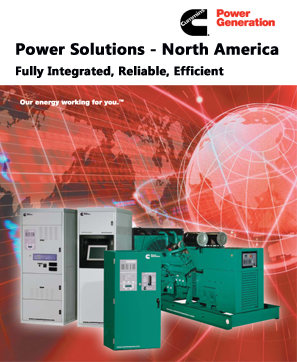 Maybin’s is a certified Cummins Onan dealer providing sales and service of Commercial and Industrial Power Generator Sets used in many applications, including commercial office and retail buildings, light industrial, and large facilities such as hospitals and manufacturing plants. Call Maybin’s Emergency Power Systems to get a new commercial or commercial mobile power generator system installed today! Installing a residential or light commercial standby power generator by Cummins Onan ensures your home or business has the necessary power for your comfort, convenience and security during a power outage. Select power generation units can even be monitored via the Internet while you are away. Call Maybin’s Emergency Power Systems to get a new residential standby power generator system installed today!